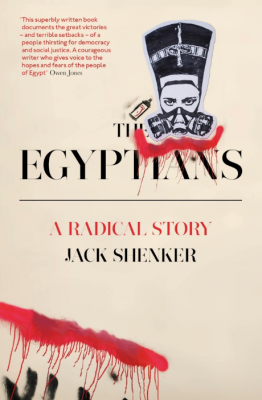 In a moment of sanguinary bloodshed in so much of the Arab world, when counterrevolutionary forces seem to be in ascent, Jack Shenker’s The Egyptians strikes an unexpectedly optimistic note about the after-echoes of the Egyptian uprisings. Shenker, whose reporting of the revolts of 2011 for The Guardian was some of the best, most textured, and most insightful reporting of those momentous events, has written an immensely readable, nuanced, intelligent, and thought-provoking history of the Egyptian uprising. In twelve beautifully written chapters, Shenker provides a tightly-argued, cogent, and persuasive account of the background to the revolt, the upsurge of activism and resistance in the years leading up to 2011, and finally the uprising of 2011 in all its dizzying excitement, inventive forms of contention, and political complexity. Throughout, Shenker marries a thoughtful macro-analysis of the political and socioeconomic conditions and contexts with compelling micro-portraits of people and places whose lives are irrevocably transformed by repression, resistance and revolt. In recounting the political context of the revolt, Shenker’s account of the postcolonial transformations of Egypt is lucid, well-informed, and persuasive. He sketches the massive socioeconomic transformations implemented in the era of Gamal Abd-al-Nasser’s rule without romanticising the top-down and sometimes repressive methods used by Nasser (against Communists and also Islamists). The story he tells of the era of infitah (or “opening”) under Anwar Sadat is similarly incisive and shows the ways in which Sadat’s economic policies not only reversed many of the redistributive policies Nasser had implemented, but also further incorporated Egypt into the global system of debt, capital accumulation, accumulation by dispossession, and Cold War geopolitics. Tracing the continuities and intensification of these policies between the Sadat and Mubarak regimes, Shenker argues that a focus on the “crony capitalism” of the Mubarak era tends to distract from the centrality of everyday neoliberal policies and the gospel of “structural reform” preached by Washington-based economic institutions in the remaking of Egyptian political economy. 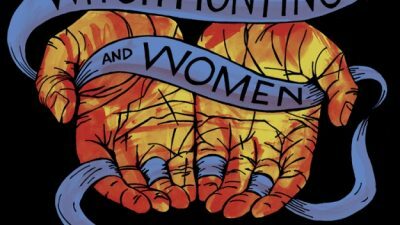 Perhaps more importantly, however, Shenker also shows the effects of these policies not only at the level of the state or the abstractions of a socioeconomic sphere, but through textured and beautifully wrought sketches of the lives of people most directly affected by these changes. Shenker’s sketches of everyday life in places beyond Cairo and ordinary peoples (and better-known activists) are immensely compelling but also beautifully chosen to illuminate his arguments. For example, his account of the siege of the village of Sarandu by Mubarak’s security forces is exemplary of the violence the Mubarak regime wrought against ordinary Egyptians in places far away from urban areas. In Sarandu, when the hereditary landowner aimed to expropriate land redistributed to the villagers during the Nasser era and farmed by them for decades, the latter attacked the equipment owned by the landowner in order to stave off his usurpation. In retaliation for their revolt and as a lesson to other fillahin (peasants) elsewhere in Egypt, their village was placed under siege by Mubarak’s security forces, its phone lines were cut, and access to it was heavily curtailed. The villagers, men and women, were subjected to beatings and arrests, being detained without food or water, and their revolt was eventually suppressed. In the aftermath of their expropriation, the landowner sold the usurped land and moved away. The scenario was repeated throughout Egypt. The process of land expropriation had not been a local affair. Shenker points out to the support Mubarak’s land “reforms” had received from the international financial institutions, and the eventual privatisation and expropriation of these lands “enabled major multinational food and agribusiness groups –including Heinz, Unilever, Cadbury, Danone and Coca-Cola, as well as Gulf-based conglomerates such as Dina Farms, Juhayna and Wataniya Poultry– to extract large profits from the fields of the Nile Delta”. 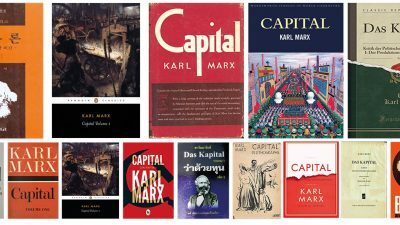 His writing about the rise of social and political movements preceding the revolt of 2011 is similarly illuminating and fresh. He writes about the worker strikes in all sorts of locales in Egypt and tells the stories of many instances of worker mobilisation not frequently covered in mainstream (or indeed even left-wing European) press. Shenker beautifully traces the development of protest tactics and of grassroots organisations in response to the specificities of context and exigencies of contention. The protests not only included workplace strikes, but also urban dwellers’ forms of resistance against clearances and forms of internal displacement which allowed for the state to expropriate land to be handed to “developers”, as well as rural forms of resistance emerging in those years. When writing about the wave after wave of strikes that shook various sectors of the economy, Shenker discusses the use of workplace-occupation, the development of specific forms of protest organisations, and the gradual expansion of these protests and their organising forces beyond the workplace and into broader domains of politics. His story of how the first independent union (the Real Estate Tax Authority Union) in many decades emerged in the latter years of the Mubarak regime also provides necessary context for how forms of organisation incubated in those years would provide the necessary infrastructure of protest in the years to come. In recounting these divides, Shenker also writes about sectarianism, and class and regional divides, but in keeping his gaze focused on the “tenuous little zones” of revolutionary autonomy, he manages to give a more realistic size to the amorphous and vast counterrevolutionary movement embodied in General Sisi’s rule, his consolidation of military power, and the further incorporation of Egypt into the global neoliberal regime of expropriation and exploitation. It is this struggle, between the grasp of the ancien regime and the possibility of a new world, that Shenker so compellingly and persuasively sketches in his radical story of The Egyptians.